The car we purchased from you is great, we enjoy it very much and it was a pleasure doing business with you. The car I bought is super clean and was a very good price. It was a very easy process, friendly and would come back for future cars. I have purchased a pre-owned Toyota Avalon from Bilal with Sunshine Auto Mall. I had the best auto buying experience ever. Very honest guy and straight forward. I would highly recommend doing business with him. I will come back to see him on future car needs for sure. Hey, This is Yao. The car (Mini Cooper-2004) I bought from you is great, and I had a very good experience. You are very patient and honest. If there is a chance, I would like to do business with you again. We really appreciated Sunshine Auto Mall for their full service including check-up at the Toyota Dealership prior to the purchase of our new vehicle. Also, with the patience and smile, they did great job communicating and cooperating with us! Also, Carfax was being a PLUS!! No pressure, professional service, would refer you to friends and family. I would come back for future purchases. Highly recommended. 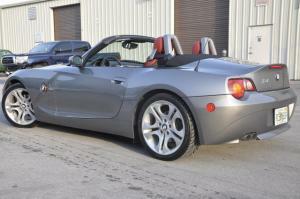 We purchased a 2005 BMW Z4 and Bilal (Bobby) was very accommodating. We contacted him and he met us at the office Sunday evening. They are straight forward and seem to be genuine and helpful. I would recommend them. As an engineer, I am VERY particular and Bilal from Sunshine Auto Mall was extremely patient and professional throughout the entire vehicle purchase process. As a result, I now have the exact Toyota 4Runner that I was looking for! Thanks Bilal! I absolutely love my new Mazda 3!!! Bilal is super helpful, he answered all of my questions and was professional at all times. My first car buying experience was very pleasant thanks to Bilal's knowledge of the vehicle and the car selling business. Entire transaction was quick and easy. 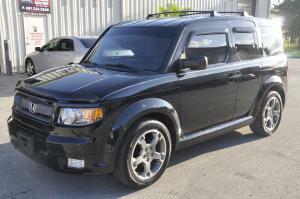 So I was looking for something sporty and luxurious, elegant yet affordable. I looked everywhere. Auctions, print ads even auto trader. Then I came across a listing on Craigslist. Perfect in every way and in my price range. I felt like family. Bilal was like the brother I never had. He made me feel comfortable, at ease. No haggle, no pressure. Upfront, honest. He held nothing back and sealed the deal in less than an hour. I'm a defined buyer. I do my homework before I shop and researched the HOT cranberry-red, 2006 Infiniti G35 Sedan long before I even called to make an appointment. My dream came true and so can yours. p.s. I named her after my beautiful departed Mother, Pauline. Sunshine Auto Mall was very responsive to our inquiries, and the Lexus we bought was very well priced and fairly representative of our expectations. We are happy with our purchase. After driving over one hour to see the car, we bought it on the spot. Thanks! 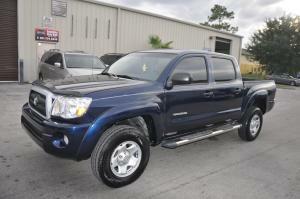 Great vehicle, Bilal is very customer service oriented, made experience easy. Has great photos that were accurate. Will definitely consider buying again. 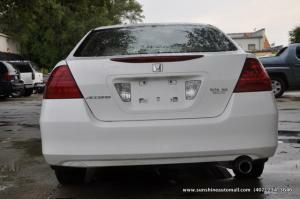 I was very impressed with the overall experience I had with Bilal @ Sunshine Auto Mall. He went out of his way to ensure I got a great car for a great price. Superior Customer Service. I am very satisfied purchaser and would recommend Sunshine Auto Mall to friends looking to buy. I just recently purchased my car from Sunshine Auto Mall in Orlando. I was very satisfied with the quality vehicle I received for the price. 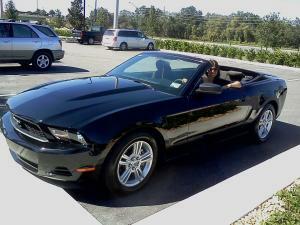 I bought a 2011 black Mustang convertible for the same price other dealers were charging for a 2010. It is a gorgeous car and I am glad that I shopped around and found Sunshine Auto Mall. Best Deal I have found. Best Car for the money. Honest Dealership able to complete my sale the same day. Looking forward to years with my new car. My experience with Sunshine Auto Mall was a positive experience. Bilal was very helpful and straight forward. I recommend Sunshine Auto Mall to anyone in the market for a quality late model vehicle.